be beautifully balanced with aroma-therapeutic blends for every day & every mood. "I have ditched my old products and strictly use Glow Essentials. I want to live a chemical-free, non-toxic lifestyle as much as possible. I have confidence in these products and will anxiously try others as they are introduced. While it's hard to say which is my favorite, I will mention that the Serums and Bright Eyes are way on the top of my list. I use the Neroli Night Serum after cleansing my face and applying the Bright Eyes. I use the Neroli Day Serum each morning. I look forward to new products as this wonderful company continues to grow." "I would recommend the Bright Eyes Beauty Balm to everyone! I love the whipped texture of the product that smooths on the eye area very gently and truly leaves your eyes glowing. It's great to apply in the morning and allows my concealer to glide on so much easier. Application in the evening offers overnight rejuvenation. The best part is a little dab goes a long way. 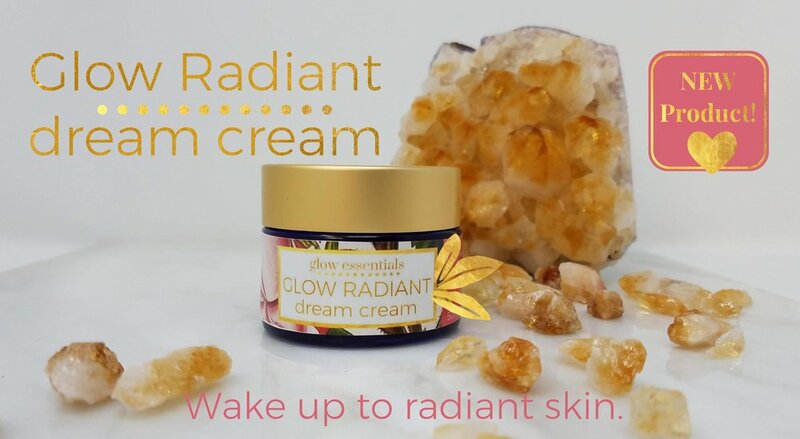 One of my favorite Glow products! Thank You!" "I purchased your Custom Essentials Package, and I absolutely love all your products. The Neroli Night Serum has been used am and pm since March. It does not leave any oil or shine and it absorbs quickly into my skin. It's wonderful! I am so happy I spent the $$! Congratulations on putting together product for us!" "Where do I even start? I bought the Custom Essential Package because I thought it made financial sense ( a lot of product for the money). I had no idea how smart my purchase was. I LOVE these products & have since purchased the Clear Day Serum, the Ultra Hydrating Balm, the Glow Shangoe Salt Scrub & several others. I apply the Balancing Blends each day, use the serums each evening and morning. I love the cleanser & toner. The Pain Zapper has been a blessing. I could go on & on. But, it didn't stop there. I ordered the Custom Essentials Package for my daughter's birthday & she loves everything. You have a customer for life." "I have been using the Luscious Locks on my hair and I can say that my hair is much more bouncy, my scalp much healthier and my hair even seems to grow faster. All in all, this is a wonderful product and I will continue to buy it." "I have always had dry, itchy, sensitive skin, & had resigned myself to having skin issues after trying many products. At first, I was concerned about trying an oil based serum because I didn't want my skin to feel greasy or break out. But when I applied the Glow Neroli Night Serum, it soaked right in & I absolutely love the way it smells! After 3 days of using it, my skin began to look and feel much softer. After 7 days, my dry patches were gone. After 12 days, my skin appeared smoother, and it's so soft I can't stop touching it! I am so excited to know how good my skin can look & feel using natural products! Thank You!" "I purchased the Custom Essentials Package in effort to replace the skin care products I had been using that were full of chemicals. I was unsure if I would really like, or use, all of the items in the package. Was I ever wrong! I fell in love with how each product made my skin feel, and with how wonderful everything smells! I am a forever customer, and am excited to see Glow Essentials grow!" "I recently began using the Clear Day Skincare Line. I have been shocked in the way my friends have reacted to the change in my skin. And what’s so amazing is that it happened rather quickly. I actually got carded when I went to pay for a bottle of wine...and I haven’t been 21 for a couple of decades ! I will use these products FOREVER and can’t wait to try all of the Glow Products."